See Rustmonster play across from the worlds greatest bigfoot band, Wasasquatch, in a musical grudge match of sea dogs verses monsters. 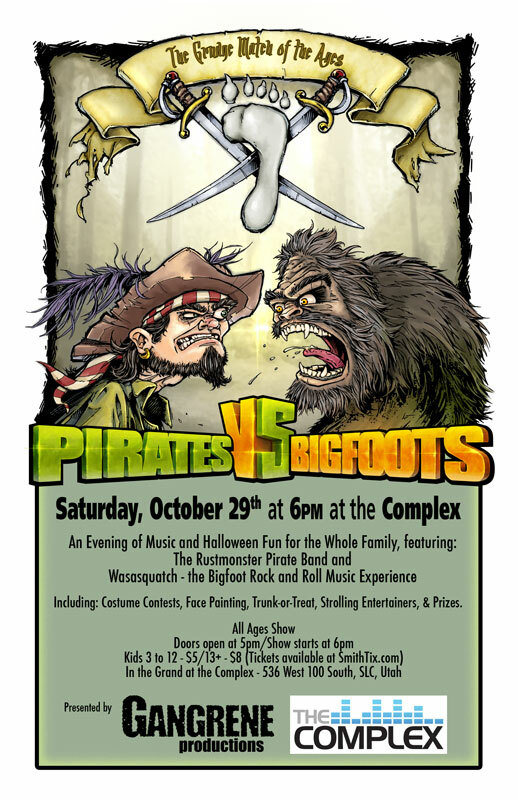 With Special Guest Bilgemunky of Bulgemunky.com, world authority on modern pirate music and pop culture, and other attractions such as face painting, a costume contest, roving entertainers, and fun booths, this event will be a fun Halloween bash for the whole family. Become a RUSTMONSTER Facebook Fan and get to know the band personally.